Toshiba Satellite laptops Toshiba is Japan’s second largest electronics conglomerate. Based in Tokyo, it is the largest chipmaker in Japan and third largest worldwide behind Intel and Samsung. It’s two core industries are flash memory chips and nuclear power plants. It used to be No. 1 in laptop computers but is no longer. It sells a bunch of other stuff, ranging from toasters to CT scans and even had a 45 percent in the record company EMI..
Toshiba made a net profit about ¥137.85 billion (about $1.5 billion) in fiscal 2010-2011, compared to a loss of ¥19.74 billion the previous year. The company had about $75 billion in sales during the period. Toshiba enjoyed relatively good sales of memory chips and liquid crystal displays used in smartphones and tablet computers. It also profited from the sale of assets and smaller-than-expected restructuring costs. The impact of the earthquake and tsunami in 2011 and Fukushima nuclear power plant crisis will have more of an effect its future earnings. Toshiba has suffered as result of falling chip prices. It lost $1.95 billion in fiscal 2001-2002 due to falling chip demand and the expense of restructuring due mainly to offering generous early retirement plans. Toshiba couldn’t keep up in the price war in the laptop market. In 2003, it cut jobs in PC division due to competition from Dell and Hewlett-Packard. Toshiba profits were up 2007 thank to strong sales of personal computers and appliances. It lost a record $2.8 in fiscal 2008-2009 due to the global recession, declining semi-conductor prices and appreciation of the yen. The company laid off more that 8,400 temporary workers and shortened hours for full time workers and needed a $3 billion capital injection in an effort to recover is capital base. The company suspended production at several chip-making plants for several weeks, delayed construction of a planned flash memory chip plant and ended production of mobile phones in Japan, shifting to overseas outsourcing. Toshiba the world’s second large maker of memory chips and the No 2 maker of NAND flash memory used in cell phone, digital cameras and portable music players such as iPods. Sales of these chips has been robust recently and earned Toshiba healthy profits. It is narrowing the gap with Samsung, the world’s largest maker of NAND flash, by speeding up production and focusing on smaller cost-efficient chips. Toshiba is the world’s No. 5 PC maker and the No. 4 PC vendor in the United States according to industry tracker IDC. 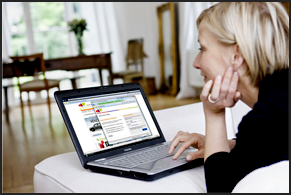 PC sales jumped 50 percent in the first quarter of 2010. Around that time Toshiba announced that it was going to launch a tablet-style PV called the “Slate” to compete with Apple’s Ipad. In June 2010, Toshiba and Fujitsu announced they were going to merge their mobile phone operations. In August 2011, Toshiba said that it would sell its share in the Toshiba-Fujitsu mobile phone to Fujitsu. Toshiba has had success selling hydroelectric generators for use in hydropower stations to China. In September 2011 Toshiba received a $13 million order to install a “smart grid” system in Italy a tie up and announced it with the Russian company Power machines to produce transformers in part to meet growing demand in eastern Europe and Russia for new transformers to replace aging equipment. Toshiba had a 22.1 percent share of the global flash memory market in 2009, compared to 53.4 percent for Samsung. In early 2010, Toshiba held 33.8 percent of the market compared to 38.5 percent for Samsung, Toshiba is spending $6 billion on a new plant to increase it flash memory capacity by 14 fold. In 2010, Toshiba, Fujitsu, NEC and Renasas announced they would work together on an eco-friendly chip that would need one tenth the energy of current chips and help reduce the use of greenhouse gases. The next generation large-scale integrated (LSI) circuit will utilize new materials, radical new designs and nanotechnology and is expected to ready by 2015. In August 2011, Toshiba boosted its output of flash memory chips as it started mass production of flash memory chips at its newly built factory in Yokkaichi, Mie Prefecture, to boost output capacity amid growing demand for devices such as smartphones. With the new plant, jointly operated with U.S.-based SanDisk, Toshiba hopes to overtake Samsung as the world’s No. 1 producer of NAND flash memory chips. mini laptop Toshiba has built the world’s fastest elevator. It can reach speed of 1,010 meters per minute and is inside the world’s tallest building, Taiwan’s 1001-story Taipei 101. Mitsubishi and Hitachi are currently try to make elevators that can break the record---reaching speeds f 1,300 meters per minute---and are looking for buyers in the Middle East. Toshiba was 7th in flat screen market in North America in early 2008 with a 5.4 percent share. In April 2005, Toshiba announced that it had developed a way to create 3-D images on a flat screen that makes images appear to jump out of the screen even without glasses. The technology employs a special shaped screen that must must watched from a fixed point. The technoloy was introduced in arcade games and home video games. Toshiba has developed Direct Methanol Fuel Cell (DMFC) battery to runs DVD players, laptop computers and cell phones. In October 2009, Toshiba announced it was going to spend $250 million on battery factory in Niigata Prefecture that will mainly produce rechargeable batteries for electric cars beginning in spring 2011. Sony, Toshiba and Hitachi are talking about forming a partnership to jointly produce LCDs. 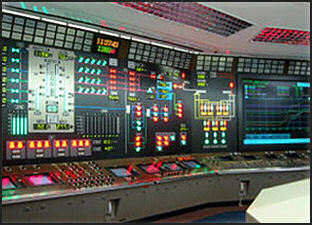 nuclear control room Toshiba launched the world’s first high-definition DVD player in March 2006 bringing the embattled next-generation digital disc format to the stores. It sold for about $1,000. In December it released an HD-DVD player priced at around $500. In March 2008, Toshiba said it would no longer make HD-DVD players. Soon afterwards Paramount and Universal said they would stip issuing HD-DVD titles and Warner Brothers said it would use Blue-ray as exclusive format for releases. In 2008, Toshiba introduced a DVD player that gets high resolution images comparable to those of a Blue-ray video from ordinary DVDs The move was seen in the industry as a reaction to the humiliation of having to withdraw from its HD DVD business. The new Toshiba DVD players use circuits that can instantly convert ordinary DVD images into high resolution images and plans to sell the players for a cheaper price than Blue-ray players. In July 2009, Toshiba announced it would make Blue-ray discs. At end of 2010, Toshiba introduced a 3-D television that doesn’t requires glasses. The devise emits rays of light at different angles, allowing viewers brains to create 3-D images without special glasses, The technology also allows viewers to enjoy the 3-D effect from numerous viewing positions and image do no strain the eyes. The Toshiba booth showcase the company’s latest digital products, including the world’s thinnest and lightest tablets; a large-screen, 55-inch glasses-free 3D TV with Quad Full HD resolution; a high-capacity Blu-ray recorder offering 5-terabytes of storage; and the world’s thinnest and lightest Ultrabook PC. Toshiba also spotlighted smart community technologies and showed how digital products harnessing the power of information communication technologies will combine with innovative energy solutions to create new infrastructure and advanced capabilities, in a unity that will contribute to the home, to the community and to the wider society of tomorrow. The REGZA Tablet AT700 is 7.7mm slim, weighs only 558 grams, yet sports a 10.1-inch display and packs an extensive range of essential ports and interfaces. 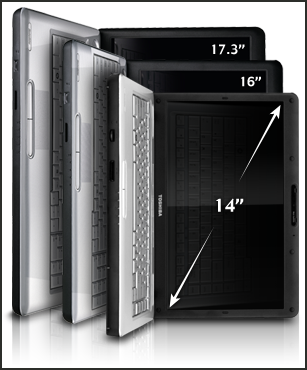 The sparkling screen offers an amazing wide-view display for comfortable content consumption, while full web browsing capabilities support the preferred use of tablets. Toshiba’s 55-inch TV, REGZA 55X3 takes the 3D experience to new heights by taking dedicated glasses off the viewer and allowing a large group to share immersion in the images. It also offers enhanced 2D with its Quad Full HD screen that displays images at four times (quadruple) Full HD resolution. The glasses-free 3D application is powered by CEVO-ENGINE Duo, Toshiba’s high-performance multi-processor platform. Toshiba nuclear plant Toshiba is among world’s largest nuclear power companies. In 2006 purchased Westinghouse in the United States for $5 billion. In 2007, it announced a tie up with IHI, a leading equipment maker for nuclear power plants, and Korea-based Doosan Heavy Industries to produce nuclear reactors. The alliance with IHI allows Toshiba to improve its production of pressurized water reactors and makes it easier to build reactors in the United States. The alliance Doosan makes it easier to build them in China. The nuclear power business activities had been one of Toshiba's top priorities, and the government's new economic growth program placed exports of nuclear plants as a centerpiece of its infrastructure export drive. Some observers have suggested the ongoing crisis at the Fukushima No. 1 nuclear power plant could derail these plans to expand exports of nuclear power plants. Toshiba’s latest boiling water reactor can produce 1.35 million kilowatts an hour, enough to power 2.5 million households. As of 2008 Toshiba-Westinghouse had orders to build 12 pressurized nuclear reactors in the United States and China and was seeking nuclear contracts in South Africa and Britain and other countries. Most of the reactors are Westinghouse-designed AP-1000 reactors. Westinghouse has made about half of the world’s reactors. It has deals to build future new reactors in China . In 2007, Toshiba won deals to construct two nuclear power plants in Texas for NRG Energy at a coast of between $5 billion and $6 billion. In 2008 it won deals with Scana Corp to build two nuclear reactors in South Carolina and with Southern Co to build two other nuclear reactors in Georgia. In the wake of the Fukushima nuclear power plant disaster it looks as if the plan to build nuclear reactors in South Texas is dead. In April 2011, NRG, the U.S. utility behind the project, said it would not spend any more money on the project. About $481 million had already been spent, with 70 percent of the money coming from NRG and the rest from Toshiba. The $20 million need to shut down the program is the last money NRG will spend on the project, the company said. In February 2009, Toshiba signed an agreement to build two new nuclear reactors in Florida, the first two 1,400 megawatt advanced boiler water reactors in the United States, completed in 2016 and 2017. Th deal was Toshiba first in the United States that wasn’t a Westinghouse deal. There is a strong demand for nuclear power plants as nuclear power is seen a clean alternative to coal and oil. About 150 nuclear power plants are planned around the world by 2030, with 30 each in the United States, Russia and China. These days they cots cost $3 billion to $4 billion to make and require constant upkeep and maintenance over the 30 to 50 years of planned operation. The various deals gave Toshiba total sales of over ¥1 trillion making it the largest heavy machinery manufacturer in Japan. Toshiba is negotiating with the Russian state-run nuclear monopoly Atomenergoprom, or Atompro, to make nuclear plant parts in Russia and cooperate in other ways. Reactor No.3 at Fukushima nuclear power plant was made by Toshiba. Reactors No. 1 and 2 were made by GE. Reactor No.4 was made by Hitachi. Toshiba and Hitachi have mobilized 2,900 workers to work on the Fukushima nuclear power plant crisis. The 1,400 Toshiba workers among other things have operated unmanned helicopter to inspect the reactors and provided equipment to dispose of radioactive water. Toshiba and rival Hitachi are exploring the possibility of working together to decommission the reactors at the Fukushima nuclear power plant. Under the Toshiba plan it will take about six months to stabilize the reactors, five and half years to disassemble them and 10 years to dismantle the reactor buildings. Under Hitachi’s plan it will take about six months to stabilize the reactors, ten years to disassemble them and 30 years to dismantle the reactor buildings. The Fukushima nuclear crisis is expected to cause Toshiba to miss its ambitious targets of winning orders to build 39 nuclear reactors. However, President Norio Sasaki said demand for nuclear power plants is likely to continue over the medium and long term, especially in emerging economies, and Toshiba's after-tax profit for fiscal 2010 is likely to exceed initial projections. What impact has the Fukushima nuclear plant crisis had on nuclear power projects abroad? Sasaki said, “At this point, none of the countries in which we are involved in nuclear power plant construction plans, including Finland and Turkey, has told us they are canceling their plans. Nuclear power plants are inexpensive in terms of power generation costs, and they will remain an important alternative in resolving environmental problems [such as global warming] and ensuring energy security. On the safety of nuclear power plants, he said, “Our latest model of nuclear power plant is capable of cooling itself for 72 hours even if the reactor loses its external sources of electricity.” On the impact of the Fukushima crisis on Toshiba’s bottom line, Sasaki said, “Even if our nuclear power business contracts 10 percent or so, the cut in total sales would be no more than 0.9 percent. This decline could be offset by expanding our sales of TVs, computers and other products in emerging economies. Our sales and operating profits in the business year ending March 31, 2011, will be slightly lower than we projected in January, but after-tax profits could be slightly up from a year before. Regarding existing plants, "We'll deal with permanent improvement in accordance with safety standards that will be revised based on analysis" of the crisis, Sasaki told Toshiba shareholders in June 2011. "We'll also develop next-generation nuclear reactors with high security.” On building new nuclear plants, the company will proceed by checking the situations of customers in each country, Sasaki said. He said the company is emphasizing renewable energy sources such as geothermal, solar and wind power, and sought shareholders' support for its plan to promote a "smart-community" business involving creation of diverse infrastructure systems, including energy, water and transportation. Regarding its goal of securing orders to build 39 reactors globally by fiscal 2015 with sales totaling ¥1 trillion, Toshiba Vice President Masashi Muromachi said, "Achievement could be delayed for several years." Toshiba has been actively boosting investments in the energy field recently. In June 2011, it announced it had agreed to acquire Swiss electrical meter company Landis+Gyr AG to enhance its “’smart-grid”--- next generation power delivery network business. Around the same time, the company said it will enter the wind power business by forming a strategic business and capital alliance with South Korean wind power equipment maker Unison Co. In September 2011, Toshiba said it was going the Shaw Group’s 20 percent stack in Westinghouse, increasing the Japanese company’s stake in Westinghouse from 67 percent to 87 percent , and showing that Toshiba was committed to the nuclear power business. nuclear plant core dome design In February 2009, Toshiba and Volkswagen announced they would work together to develop electric cars. A few months earlier Toshiba announced it would build a new battery factory to make advanced rechargeable batteries that can be used in hybrid cars and electric cars. Toshiba has many facilities overseas. It used to make laptops in the Philippines and now has a large complex outside of Shanghai. Sony, IBM and Toshiba have worked together to create chips, code-named Cell, that are as powerful as supercomputers. Toshiba formed an alliance with Fujitsu to make chips, The partnership was limited. In some case production remained at factories owned by each company. Toshiba makes optical disk drives such as CD-ROMsand DVD-ROM drives with Samsung and has a deal with Sharp to buy 30-inch and 60-inch LCD panels to use in its flat screen televisions. In February 2008, Toshiba announced a plan to build a ¥700 million plant with American partner SanDisk to manufacture NAND flash memory chips. In December 2005, Toshiba said it was going to quit the music business by selling its 45 percent stake in EMI. In 1999, Toshiba agreed to a $1 billion settlement for a class-action lawsuit contending that the company sold 5 million defective laptops in the United States since 1987. In March 2005, Toshiba was ordered to pay Lexar media, a maker of memory cards used in computers and digital cameras, $30 million in damages, for theft of trade secrets.Hitachi and Toshiba have been accused by the E.U. on of running a cartel that fixed prices for gas-insulated equipment used by power utilities. The lawsuit seeks class-action status on behalf of women who are, or have been, employed by Toshiba in the United States. The lawsuit states the firm underpays women, delays or blocks their promotion into better jobs, subjects them to stricter discipline and different rules than men and fails to respond adequately to complaints of discrimination. The suit states job promotions result from subjective discussions among Toshiba's male supervisors rather than by merit or equal opportunity. "As a result, male employees have advanced and continue to advance more rapidly to better and higher paying jobs than female employees."